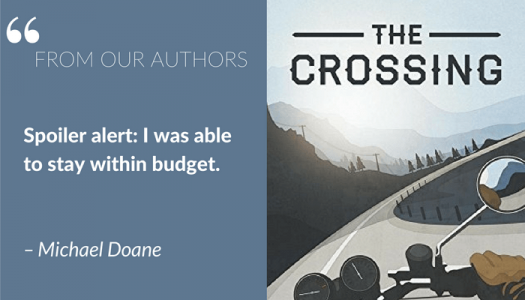 Michael Doane is the author of "The Crossing" and book strategist at Writing Inbound. When he’s not writing novels, he’s working with other authors to promote, launch, and sell their books. In this article, he talks about the budget he set for self-publishing his debut novel, "The Crossing" and how he was able to stick to it. A couple of months ago, Reedsy put together a comprehensive infographic on what it costs to self-publish a book. The infographic breaks down costs associated with the various stages of editing as well as cover design and typesetting. According to the data, a 60,000 word book will cost you an average of $5,260 if you purchase each service individually. That’s a fair amount of money if you’re going into self-publishing for the first time and aren’t generating any revenue from your books yet. While Reedsy has the data on average costs, I’d like to share what authors really care about: a story. My debut novel, The Crossing is just under 60,000 words, so I’m going to judge my own progress up against Reedsy’s $5,260 average. When I got serious about publishing, I set a budget of $3,500 on editing and design services. This was money I had in my PayPal account from helping other authors market their books. That meant I had to find shortcuts and alternatives to cut costs and save myself money. One thing I wasn’t willing to compromise on, however, was quality. 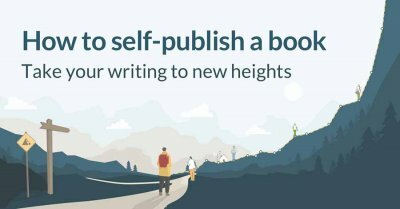 This was going to be quite the challenge: save about 50% on professional publishing services and STILL come to market with a quality, professionally designed product that’s been vetted by top-notch editors. I also didn’t want to haggle with professionals by negotiating unnecessary discounts. Spoiler alert: I was able to stay within budget. The first thing I did was read my own book. I read it critically and made lots and lots of notes. Then I edited the thing. I cut about 15,000 words from the first draft and added an additional 7,000 words to the manuscript. Then I did it again. I re-read, cut, and re-wrote. It’s not easy. Some may even call it soul-shattering. The thing is… it’s necessary. I made "The Crossing" the best possible product I could make on my own before sharing it with anyone. It took three more tries and two editors to get to the best possible ending — the one that made her cry! All this to say, it’s important to share with family and friends. Most of them will tell you they like it (giving you a slight boost in confidence). The best ones will be totally honest with you and encourage you to make art that’s beautiful and worthwhile. My beta readers are my most important asset. Seriously. I put it out there — on my blog and social media — that I was looking for people to read my book and provide feedback. About 50 people signed up and out of those 50, about 15 gave me good, valuable feedback. I sent my manuscript for "The Crossing" to them no strings attached and, over a few months, scheduled calls and exchanged emails with them to solicit direct feedback. I had a very diverse group, who gave me amazing perspective on my work. Once I was finished with all my calls and emails with my beta readers, I made yet another round of personal edits based on the feedback. At this point, I knew there was little more I could do on my own and with the honesty and encouragement of my friends, family, and beta readers. I turned to Reedsy and put out proposals for an editorial assessment. I ended up hiring Rebecca Heyman, who was not the least expensive nor the most expensive of the five editors I’d reached out to. While I don’t want to share exactly what I paid for her services, I’ll say that it was (what I thought at the time) a big chunk of change. I’ll also say that the big chunk of change was totally worth it. Becca delivered an 8-page document detailing the parts of the narrative that worked and — more importantly — the parts of the narrative that didn’t work. We then had a pretty heated conversation via Skype about details and alternatives. The best part of working with Becca is that she brought me back to earth, tore down the hard work I’d already done, and pointed me back to the drawing board. What an editorial assessment does for an author is provide perspective. It gives you insights on your work from an experienced professional. Becca was able to create a comprehensive overview of my manuscript for "The Crossing" and help me refine it to a publishable work. I didn’t make all the edits Becca suggested (there’s that freedom of self-publishing coming into play), but what I did do was re-read the book with fresh eyes and tended to the problem areas that Becca pointed out. I ended up cutting and adding a lot more. Re-read, re-consider, re-write. That’s what it’s all about. Then I recruited more beta readers and had a few from the original group have another go at it and give me feedback. This time they were giving me pointers on not only the narrative, but also grammar and spelling. While my beta readers were busy reading, I went back to Reedsy and put out quotes for a cover designer. I ended up going with Matthew Cobb, who just so happens to be a Reedsy co-founder as well. We spent time going back and forth on different iterations and I was able to have complete control over the final product. 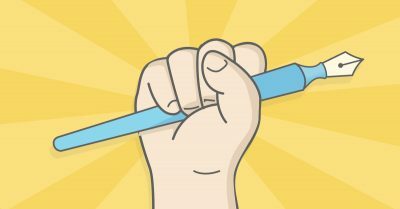 Since I used so many other resources, like my beta readers, for copyediting and content development, I put out a final round of proposals on Reedsy for a mix of copyediting and proofreading services. I ended up hiring Rachel Small. Rachel’s profile mentioned that she dealt with YA, coming of age, and travel stories, so I knew I wanted to work with her before I even heard any responses back. I also read Reedsy author Stacey Dyer’s article about working with Rachel, which seemed like a wonderful, collaborative process. Luckily, Rachel came back with a quote on point with what I expected to pay. At this point "The Crossing" was a pretty solid, final, and publishable narrative. I read through one more time, made most of the edits Rachel suggested, and made some tweaks to the narrative that the beta readers had suggested (such moving around chapters, and adding some overlooked elements). With the average cost of typesetting being $840 (according to Reedsy’s infographic), this could’ve easily been the expense that took me over budget. However, I used the free Reedsy Book Editor to do the typesetting for me. You simply copy and paste your chapters into the tool (or use it to write your book), then hit export and you get a nice print-ready PDF and ebook reader-friendly ePub file. So, what does self-publishing a book really cost? Time! Writing, editing, learning how to publish, working with various editors and beta readers, sharing with friends and family and waiting for a response. Having your work torn down by editors so you can build it back up. Patience and effort. This is the true cost of self-publishing. From the time my first draft was complete until the time the book was published, everything took about two years. I approached it like a second job and spent hundreds of hours, during nights and weekends, learning how to publish a book. But if you’re up to learning new processes, putting out the upfront investments, and working with a team of skilled professionals, the costs certainly are worth it. Thankfully, I was able to stick to the budget I set for myself. According to my $3500 budget, I spent an average of $145 per month in expenses, and if I did extend past my budget to the average cost based on Reedsy’s infographic, it still would have only been about $219 per month. With my current sales numbers, I’m set to make back these costs within the next few months. Set a budget before anything else. Promote to friends and family. Hire a professional editor (or two). Learn as much as you can about the industry. 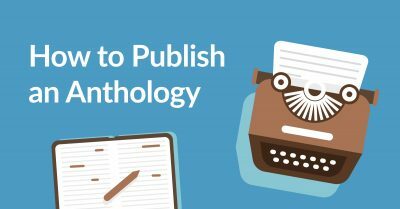 If you’re a detail-oriented and you want to bypass the publishing industry’s red-tape, then self-publishing is definitely worth the cost. Just know that it’s a long road if you’re going to do it right — and come into it with an entrepreneur’s perspective, because you need to invest money if you want to create a beautiful product that will earn you money in return. Good luck! "The Crossing" is available on Amazon in paperback and on Amazon Kindle. 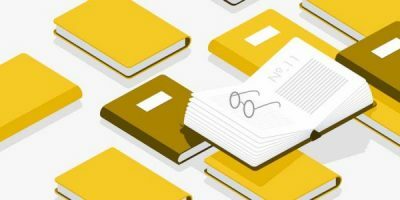 Mention this article to get a 25% discount on your next book marketing plan through Michael Doane on Reedsy. Michael set himself the task to not cut corners, to create a book he would be proud of, but also to stay within his allocated self-publishing budget. And he did! What have been your experiences with taking on the cost of publishing yourself? Leave your thoughts, experiences, or any questions for Michael in the comments below. 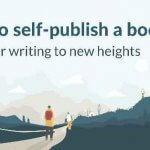 ← Self-Publishing vs Traditional Publishing: Which one is right for you? I have self-published 6 books and find it is possible to stick within a budget of £1500 (excluding marketing and physical books) without sacrificing quality. I can offer up Writing Magazine's Self-published Book of the Year Award and a further shortlisting for a Book of the Year Award (not limited to self-publishing) as evidence. As Michael points out, part of the savings are achieved by doing more self-editing and utilising a team of beta readers instead of paying for an editorial review. That's great to hear, Jane! I love hearing other author's self-publishing stories. Congrats on the recognition. And yes - I can't thank my beta readers enough for the hard work they did. This is an essential part of self-publishing (plus, it's great to have a small community behind your efforts). I have also found it plausible to stay true to myself, listen to betas, make changes and be happy with my results all within budget. It always come back to the same thing... are you writing because you love what you do and you believe what you say? Or are you a treasure seeker who thinks writing is "sooooo easy"? Good luck to you either way. That's great Angie! Yes, staying true to yourself is the most important part. I also wear a hat as a publisher, and I'd have to say that your costs are pretty much in line with what I would charge a client for substantive and line edit, formatting, and cover design. the main print/distributor in the US (Ingram/Lightening Source) wants PDF files, print-ready for book text. Adobe Acrobat Pro is the tool that I use for the finishing touches. Formatting (that is - interior design) is one of those things that iis not really that difficult, and Adobe Acrobat Pro is not all that hard to use. It looks daunting to most writers, who only want to write, and write some more - but figuring out how to do a nice, readable interior design will save some mileage on the budget. (At least 12-point type, and 1.15 line separation, with half-inch margins either side is a good start.) Formatting is one of those things which is invisible, if well-done - but omigosh, does it show when badly done! I have a couple of books wherein it was badly done that I show to clients to prove this point. Glad to hear my costs are on point with the industry norm. I agree with you about formatting making or breaking a final product. 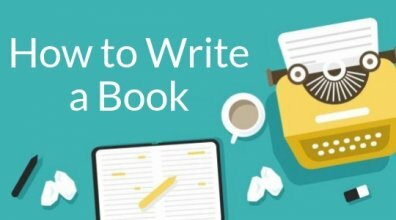 I would suggest any and every self-publishing author take a look at Reedsy's book formatting tool (https://reedsy.com/write-a-book). Saved me lots of time and money. If you scroll down mid-way on the page, there are a few sample files there too. that one is mine. p.s. this article wasn't really helpful.